Open Monday, Wednesday, Friday and Saturday from 8 am to 6 pm. 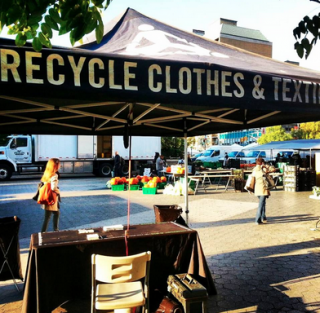 Along with many local farmers and food vendors, this market offers textile recycling through GrowNYC. Bring your unwanted clothes or textiles to have them recycled, however, this can only be done on Monday and Saturday from 8 am to 4 pm.